The trend in all the fashion magazines is wing tipped eyeliner, similar to the look of the Hollywood stars in the 1950’s. 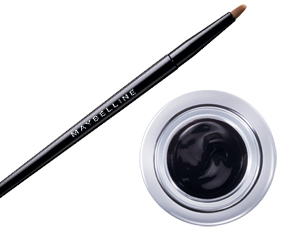 A great way to get this look is to use Maybelline’s Line Stiletto Ultimate Precision Liquid Eyeliner. 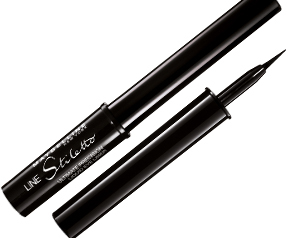 A word of warning, this is an eyeliner that requires more skill than most. If you have a hard time doing perfect lines, we suggest using a smudge brush to even it out. We liked that this eyeliner went on smooth and didn’t dry faster than we could fix mistakes, as is the case with a lot of liquid eyeliners. There is a reason why ‘how to do a smoky eye’ articles are published almost every month in fashion magazines. It’s really not an easy look to do. 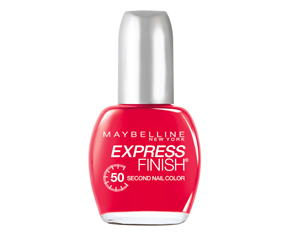 Maybelline took the guess work out of the smoky eye look with a quad (200 smokes) of easily blendable shadows that are marked with where you put the colors. Our biggest problem with inexpensive shadows is that the color goes on unevenly, making your eye look more so injured than smoky. However, what we loved the most was the quality of these shadows, even the darkest color went on evenly and blended well. 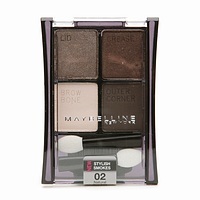 With this we were able to achieve model worthy eye shadow looks in no time!